If you like stories set in Victorian London, Oliver, Jack the Ripper, Doctor Who or anything dark and mysterious then this is for you. A book full of surprises and intrigue. We follow Septimus Blackwood, the main protagonist of this story, experimenting with a new type of photography. What he finds on his mission is more than he has bargained for, in terms of science and his own personal past. The philosophical meets science, legacy meets innovation. The setting in the Victorian era lends itself to beautiful and also scary mysteries like this one. The beginning of a new school of science, fantastic innovations and the darkness of London’s alleys and tunnels provide a perfect setting that is chilling and compelling at the same time. 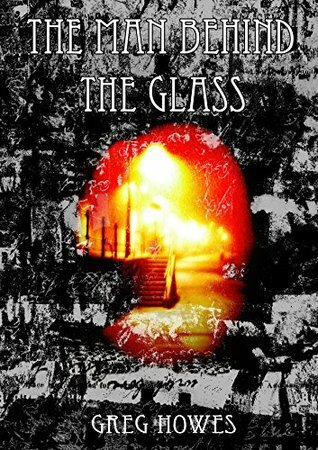 “The Man Behind The Glass is based around a character called Septimus Blackwood, a Victorian photographer with a difference. The story is set in London’s East end in the year 1860 . It is predominantly a mystery adventure story, based on uncovering the hidden secrets of life and death and a quest for a missing legacy buried deep amongst the forgotten rivers and cellars beneath old London. It is also a race against time, Septimus not only finds himself competing against the tide,he is also at odds with the twin evils of Joseph Bazalgette’s new sewage system and the formation of what was to become known as London’s underground train network. Intriguing book and thank you for the recommendation!